Chandon has unveiled a chic new experience touring Australia this Spring, transporting guests into the world of Chandon S. A modern take on the traditional speakeasy, the Chandon S Chic Easy celebrates the re-imagination of the classic champagne cocktail in a stylish French setting at iconic locations around the country. 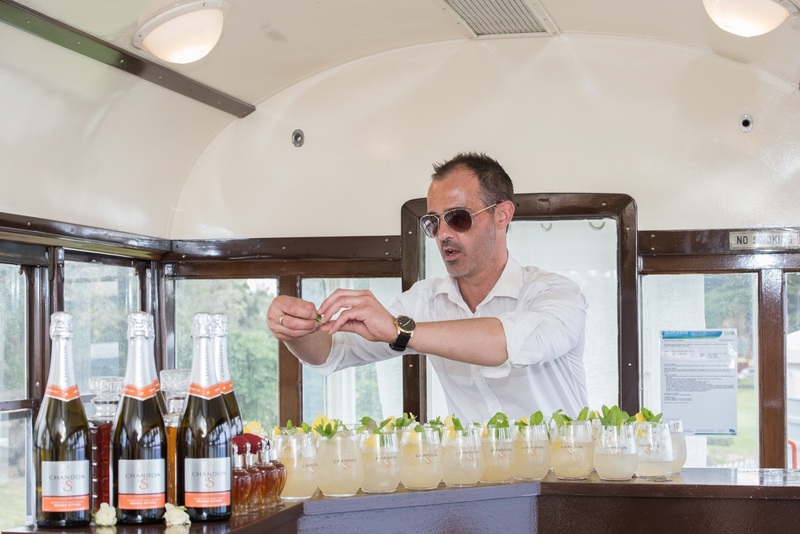 Paying homage to Chandon’s French heritage, the Chandon S Chic Easy experience comes to life in an elegant vintage tram, guiding guests through a range of different stations – from food pairing to cocktail creation, giving them a taste of Chandon S for all occasions. Chandon S is a refreshingly unexpected twist on the classic champagne cocktail. Created following the traditional French methode traditionnelle champagne making process, Chandon S adds a unique twist to the ‘dosage’ – the addition of Australian hand-crafted orange bitters. Each Chandon S Chic Easy event will give guests around the country a unique insight into Chandon’s innovative wine-making process and hear the story of Chandon S, discovering more about how the sparking creation came to life. The Chandon S Chic Easy will feature a traditional French boulangerie workshop, where guests can craft their own artisanal bread. Bringing to life its distinctive aromatic flavours, a French baker will explain the flavour profiles of the seven ingredients that come together to create the Chandon S bitters. Chandon’s mixologists will host a cocktail making masterclass where guests will learn how to create the Perfect Serve - the best way to enjoy Chandon S over ice, as well as the Chic Serve, a new cocktail created especially for the Chandon S Chic Easy. Guests will have the opportunity to add their own personal touch to their Chandon S Chic Serve. 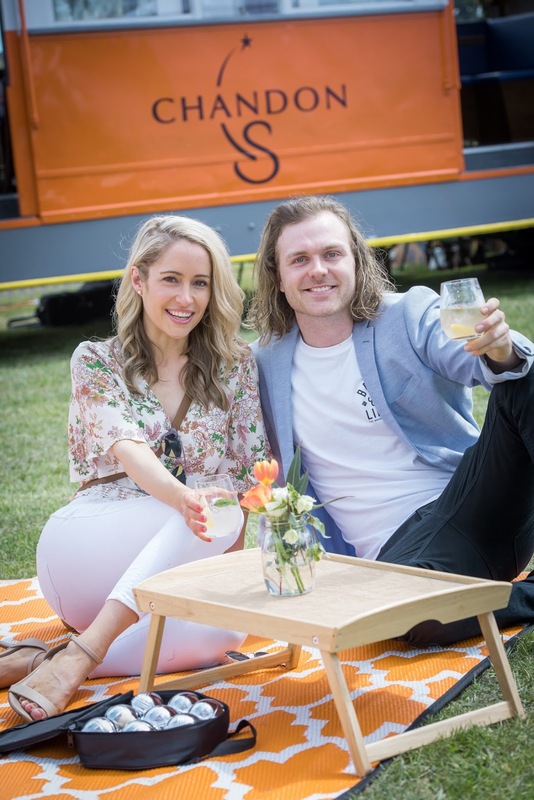 As part of the Chandon S Chic Easy, guests can also enjoy a refreshing Chandon S and a leisurely game of pétanque with friends on the Chandon S Lawn. For discounted tickets, pop in this code: HandcraftedBitters - and get $15 off the ticket price (so the ticket is only $30!). For those who are more spontaneous, walk-ins will be able to enjoy The Chandon S Lawn, with food and Chandon S cocktails available for purchase. Wanna know more about CHANDON S? Just as Chandon Australia’s story begins in Champagne, so too does the story of Chandon S. The original Champagne Cocktail recipe was first published in 1862 by Professor Jerry Thomas and combined a lump of sugar with one or two dashes of Angostura bitters in a goblet of Champagne, served over ice with a twist of lemon peel. Made from a blend of Chandon sparkling and hand crafted orange bitters, Chandon S reimagines the original Champagne Cocktail over ice for a refreshingly unexpected beverage. The unique bitters flavour in Chandon S was created using seven natural, high quality, local ingredients including blood orange and navel orange peel, gentian root, fresh ginger, vanilla, cinnamon and green cardamom. 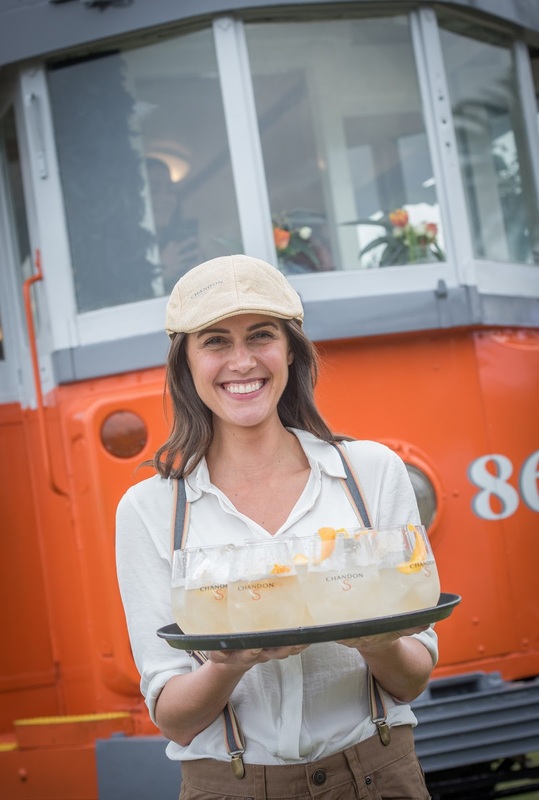 Chandon S is best enjoyed over ice with a twist of orange.